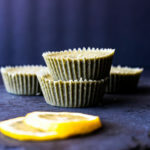 Don’t let their shade of green fool you, these Lemon Coconut Bites are packed with a tasty lemon and coconut flavor that will have you feeling energized and ready to take on the day. When it comes to making fat bombs, it’s important to find the perfect balance between rich taste and satiating fats. Luckily, these fat bomb bites have the best of both worlds. This recipe not only hits that perfect savory spot you crave, but it’s short list of ingredients is sure to provide you with key health benefits that are sure to help improve both your physical and mental health. Worried about adding sweeteners to your food? No need to stress. This short list of ingredients includes monk fruit, a sweetener that not only avoids any possible damage to your health, but actually improves it. Monk fruit actually contains compounds that make it up to 400 times more sweeter than cane sugar but without any drastic effect on blood sugar. To add to its benefits, it’s used for more than just making your favorite treats sweeter. The magrosides in monk fruit are full of antioxidants which help to fight free radical damage. Other ingredients in this recipe include Perfect Keto Greens Powder, coconut butter and coconut oil. Some of the ingredients in the Perfect Keto Greens Powder blend includes wheatgrass, barley grass, broccoli, cabbage, kale, kelp, broccoli sprouts, alpha lipoic acid, milk thistle seed extract, hibiscus flower extract, apple extract, cranberry, mct oil powder and more. For individuals following a ketogenic diet, being deficient in micronutrients can occur if you aren’t conscious of your intake. This powder provides you with all the key vitamins and minerals you need without the worry of getting kicked out of ketosis. Making this recipe is relatively simple. All you need to do is melt the coconut butter and coconut oil and then combine all of the ingredients in a large bowl. Once blended thoroughly, grab a muffin tin tray and pour the mix into five of the muffin cup placements evenly. Once you’re done, simply stick the tray into the freezer and give it an hour before chowing down on this satiating fat snack!